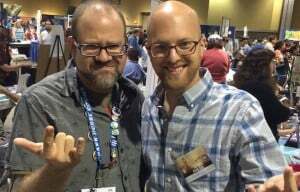 In this extra special episode Dan interviews writer Joshua Hale Fialkov, writer of “Just Right” from Amazing Spider-Man #692, Amazing Spider-Man: Who Am I?, and Alpha, all from the Long Beach Comic Con 2015. They discuss what it was like to write a back-up story, an Infinite comic, and for a character disliked by the fanbase. Fialkov also touches on his departure from Marvel and DC for independent comics.